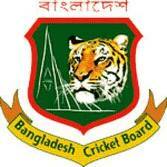 Bangladesh Cricket Board has declared the squad for World Cup Cricket 2011. They tried to get the best players in their 15 men squad. Shakib Al Hasan (captain): will lead Bangladesh Cricket Team for the World Cup 2011. He has been selected as Captain for 2011 session. He is already a Ambassador of Bangladesh cricket team for outside world. After the injury of Mashrafee, he was the ultimate choice as a Captain. He led the team in the last 2 series and was succeeding as a captain. Bangladesh will be looking at him in this World Cup. Tamim Iqbal (vice-captain): will co-operate Shakib as a vice captain in the team. He is naturally an aggressive batsman and can hit the cricket balls really well. He will open the innings and Bangladesh will hope for a better and blasting start from him in every match. Mushfiqur Rahim (wicket-keeper): is the ultimate choice as a wicket keep batsman for the selectors. A small man with bigger responsibility will stand behind the stamps for Bangladesh in World Cup 2011. Mohammed Ashraful: is (or was!!) such a talented cricketer in this era of cricket. He is the best enemy of himself in most of the time when batting. While batting, he plays against his mind more than playing against the Bowler. He is not in form since last couple of years. In spite of all these, Bangladesh needs Ashraful to play his part in this World Cup. Nazmul Hossain: in absence of Mashrafee, he will have to lead the pace bowling attack as he is the most experienced pace bowler for Bangladesh at this stage. Suhrawardy Shuvo: will play as an all-rounder. He had a great series against New Zealand. He got the chance in the team because He is surely a better performer in Sub continent soil than foreign soil. His main part is to keep the opposition batsman quite. He will be expected to make some runs in the lower order as well. Imrul Kayes: will open the innings with Tamim. He is having a great partnership with Tamim in opening position. His main duty will be to give strike as much as possible to Tamim. Shahriar Nafees: is the only batsman who secured his position in World Cup after coming back from controversial ICP. If he gets his chance in the team, he will probably bat after the fall of first wicket. Junaed Siddique: will probably have to fight with Nafees for his position. He is in a moderate form and surely deserves his position in the team. Raqibul Hasan: is normally a player, who can play a longer innings. He has to play a major part in the world cup. If the Team lost some early wickets, he will have to hold the innings to make a decent total. Mahmudullah Riyad: is an all-rounder. He can strike the bowl well and will be the hope of Bangladesh in batting power play. He is also decent spinner. His recent form is not as good as his qualification though. Naeem Islam: is called as “Chakka Naeem” (Sixer Nayeem). His part is to get quick runs in the later part of the innings, especially in the time of Batting Power Play. Abdur Razzak: will lead the spinning part apart from Shakib. He is the genuine spinner for the team. He took a hat-trick against Zimbabwe recently. He has the reputation to drift the ball well. Rubel Hossain: will play as a pacer. He can provide wickets for his team with his slinger like action like Mallinga from Sri Lanka. He can sometime generate some extra pace to surprise the batsman. Shafiul Islam: is doing pretty well since the last some series. A lot of hope is behind him. He can take wickets and Bangladesh will hope he takes wickets in regular interval for the team.